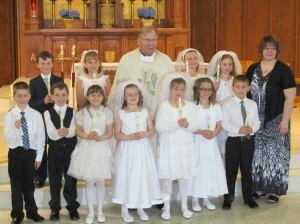 Sacred Heart and St. Michael second grade students received their First Holy Communion on May 4th. We pray they are blessed with the presence of Jesus in their hearts, minds, and souls always. Congratulations boys and girls!